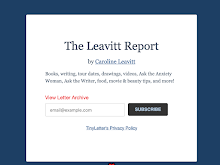 CAROLINELEAVITTVILLE: Jennifer Gilmore talks about her incandescent novel IF ONLY, adoption, possiblity and so much more. Jennifer Gilmore talks about her incandescent novel IF ONLY, adoption, possiblity and so much more. I can't remember when I first met Jennifer Gilmore, but what's really important is I cannot remember a time when I DID NOT LOVE HER. Her novels are fantastic, critically acclaimed and deeply loved. 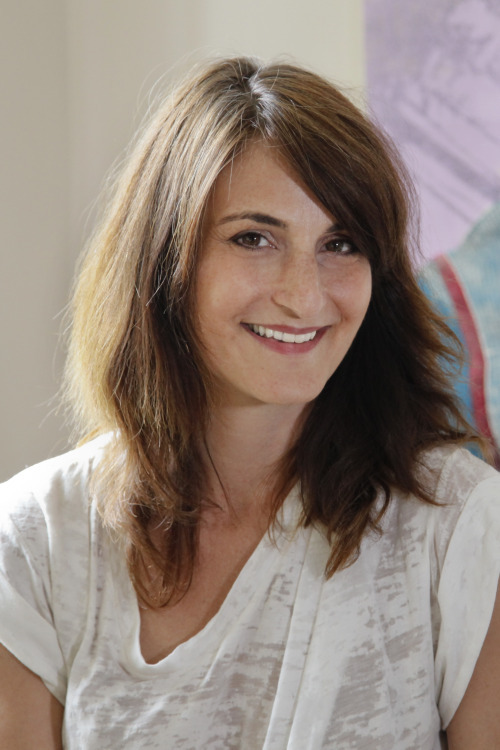 She was kind enough to interview me at McNally Jackson when I was a nervous wreck, kind enough to turn around in her assigned seat at the Jewish Book Council Auditions to shoot the breeze with me when I was a nervous wreck. I'm not a nervous wreck anymore! Jennifer is the author of three novels for adults, and a novel for teens-We Were Never Here and for adults, The Mothers, (Scribner 2013), currently being adapted to film,which she is Executive Producing, Something Red, (Scribner 2010), a New York Times Notable Book, and my first novel, Golden Country (Scribner 2006), a New York Times Notable Book of 2006, an Amazon Top Ten Debut Fiction of 2006, a finalist for the National Jewish Book Award, on the long-list for the International IMPAC Dublin Prize, a finalist for the Harold U Ribalow Prize, and a finalist for the Los Angeles Times Book Prize. 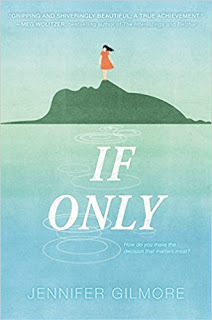 And course, her latest IF ONLY is about the possibilities in a young girl's life. Thank you so much, Jennifer, for this book, and for EVERYTHING. 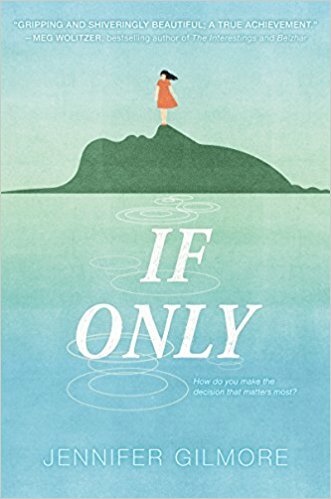 If Only, which on the surface is a book about adoption, but is also about all the ways we imagine what our lives could be and could have been, has this premise that our lives are not necessarily destined. That one small thing could have changed our course. (The science behind the Butterfly Effect, in chaos theory, deals with this idea, too.) I have an adopted child and I hate to think that we weren’t as destined to be together as biological children and their mothers are, but it nagged at me. The what if’s. What if my child’s birthmom hadn’t chosen us. I could go down a spiral and become undone by the thought. And then, as a novelist, and a novelist who writes about teens, I wondered: what made her make the decisions she did. How did she go about it? That’s when my imagination kicked in. I wanted to include her many possibilities, as well as her biological daughter’s many possibilities, which I call the If Onlys. I wanted to connect them. But I couldn’t have written this book when I first came home with my son. My thinking had to be more processed and less emotional. I think when you’re really writing you look in the face a lot of the stuff that makes you uncomfortable or scared. That’s the sweet spot for the writer. You’ve written extraordinary books for adults and this is your second for YA. How does it feel different? Does it free you in some way? As you know, all books are hard to write. Just so hard! Young adult feels different only in that my characters are teenagers. I am getting in touch with the 15 year old in me all the time. (To be honest, she’s always with me anyway.) We are, after all, the ages we ever were at the same time. In some ways the form is more constricting: it tends to be first person with forward motion and often plot can be a stand in for emotion. But that is very generalized. In other ways—in this case structurally—it was freeing as I think teen readers go with what you offer more readily. They make a leap of faith without having to be technically lead there. They are open and willing and I love that about my teen readers. And it’s exciting (without over generalizing again) teens care about books—remember what you read as a teen? The music you listened to? Exactly. It’s imprinted upon us. You’ve written so gorgeously about your becoming a mother, adopting, and the whole process, and it infuses this wonderful book in such unexpected ways. Would you mind talking about this? I love talking about being an adoptive mother because I’m proud to be one and lucky to be one. There is a lot of language surrounding adoption—in the adoption community, from one’s biological family, from friends, and from people you just meet on the street. It’s shocking to me what people say, like: Your son is so lucky! Or: we know people who have adopted and they love their kids just as much as we love ours. That’s not the half of it. And my child is white—being the adoptive mother of a transracial child presents new kinds of conversations that people think they can have with you. It’s shocking to me. What I mean to say is, like in everything we are experiencing in this world right now, language matters. How we talk about what is important to us and difficult matters. How we dismiss peoples’ experiences or think we are in a position to validate them matters. The language is the beginning. That is the power I feel I have as a fiction writer who writes about adoption. I can take on these false notions or these complicated socio economic issues and make art out of this troubling and often culturally airbrushed conversation. What’s obsessing me…How hard it is to find a way into something important that is still what you would want to read. How to create in the face of a truly demoralizing state. How to think about characters and still be in the world. I’m very interested in transformation. All the ways in which that happens for us, for women in particular. What were you before? Where did you go? You covered it! As always. Thank you for being such a wonderful supporter of my work and all our work. And happy art making to you, too.